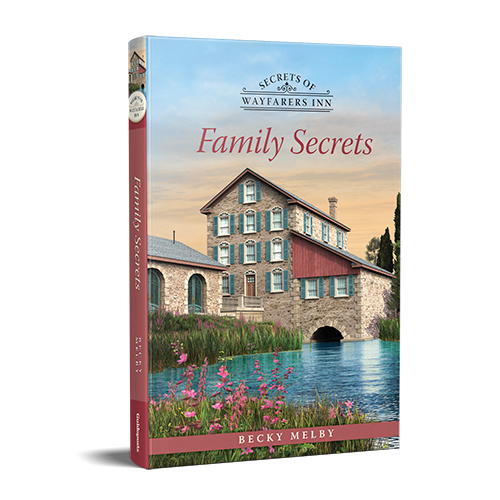 Follow along as LuAnn, Tessa, and Janice – 3 life-long friends – purchase an inn in Marietta, Ohio built in 1851 and turn it into a café and bed and breakfast in Guideposts' 2018 featured historical fiction series, Secrets of Wayfarers Inn. As they work to remodel the neglected but elegant structure, the trio comes across hidden passages filled with secrets and surprises setting them on a course to solving mysteries from both the past and the present. An aging bronze plaque on the doorpost marks the building as once being a pre-Civil-War stop on the Underground Railroad. Beginning with the first book, Family Secrets, this series will have you embracing new beginnings as you cozy up with the characters and settings. Real estate agent Bradley Grimes who has taken a special interest in the riverfront building he recently sold, as well as one of the new owners, LuAnn. Established in 1788, Marietta is the oldest city in the state of Ohio, and the first official American settlement territory north and west of the Ohio River. Known as the “Riverboat Town,” it is located at the confluence of the Ohio and Muskingum rivers. Washington County’s earliest visitors arrived more than 2,000 years ago, and today thousands of visitors continue to come to the area each year to enjoy its charm, natural beauty, flowing rivers and rich heritage. In 1795, Washington County became a small but influential part of the anti-slavery movement. Activists within the county became reliable conductors on the Underground Railroad. The Muskingum River acted as a major byway in the 1800s for travelers on the Underground Railroad. Today, visitors can take a tour of Underground Railroad sites throughout the county, or view a permanent exhibit at the Belpre Historical Society. Watch our interview with the author of Family Secrets, Becky Melby, to get behind the scenes information on the parallels between the modern and historical characters and themes of ministry and support featured in this riveting new mystery. Plus, you'll learn secrets behind the real life building on which the Wayfarers Inn is based and clues to upcoming plot twists featured in subsequent books in this series.